The Evergreen Meadow at Bellefontaine Cemetery is a planned short-grass prairie set aside for green burials. On an overcast Saturday morning, the weekend after Halloween a group of some 30 people gathered at one of St. Louis’s oldest cemeteries. 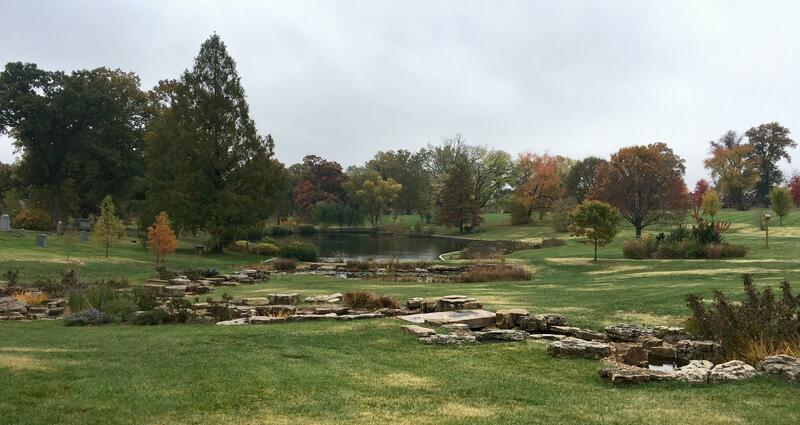 Bellefontaine Cemetery is the final resting place of historical Missourians like William Clark and William S. Borroughs, but on this day the tour group was there to learn about how Bellefontaine is keeping up to date with green burials. The group was led by Dan Fuller, the volunteer coordinator and guide for the cemetery. "A contemporary burial produces this kind of a carbon footprint," he said, lifting his hand high to show the environmental impact of a typical modern burial. "An outer container, a metal coffin, an embalmed body, 6-foot deep with a headstone," all add to that footprint, he explained. Moving to cremation, the hand stays high. "Everything that you lose in those accessories, metal coffin, embalming, all that other kind of stuff, you make up for elevating 110 body to 1,800 degrees for four hours, equivalent to a 4,000 mile journey in your automobile," he said. 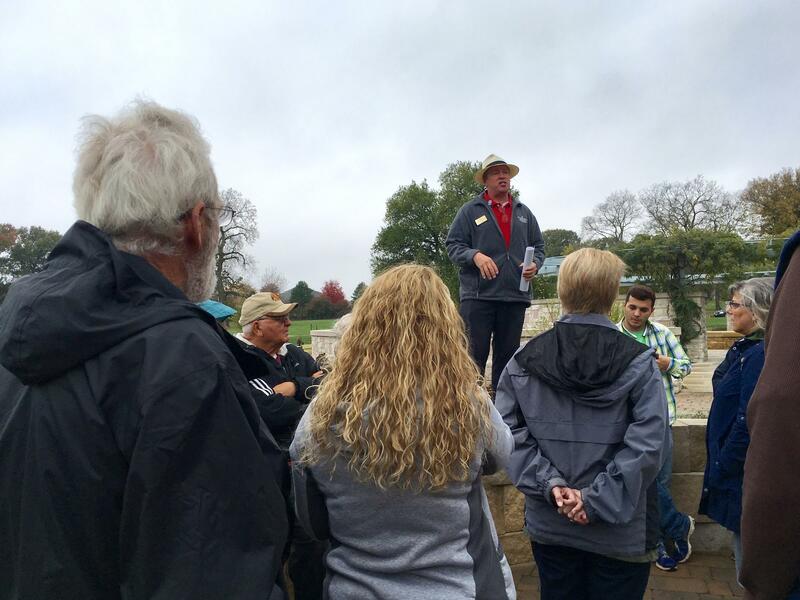 Dan Fuller explains the concept to a tour group at Bellefontaine Cemetery, in St. Louis. A green burial aims to lower that footprint by avoiding all of those carbon-heavy accessories and activities. Instead of a metal coffin, you may have a biodegradable wicker basket. Instead of an embalmed body with a viewing, burials happen quickly after death. Some aspects of green burial aren't as attractive to people, Fuller explained. "Here’s the one that’s the kicker for most people – if you ultimately want to be green: no tombstone. In the production of a stone, you produce a lot of carbon," he said. What takes the place of a headstone? Some people use GPS markers, and others use much smaller, carved stones that don’t require extensive cutting or shaping. Bellefontaine was first established in 1849 as part of the rural cemetery movement, which was rooted in English landscape gardening, and aimed to replicate scenes from nature. 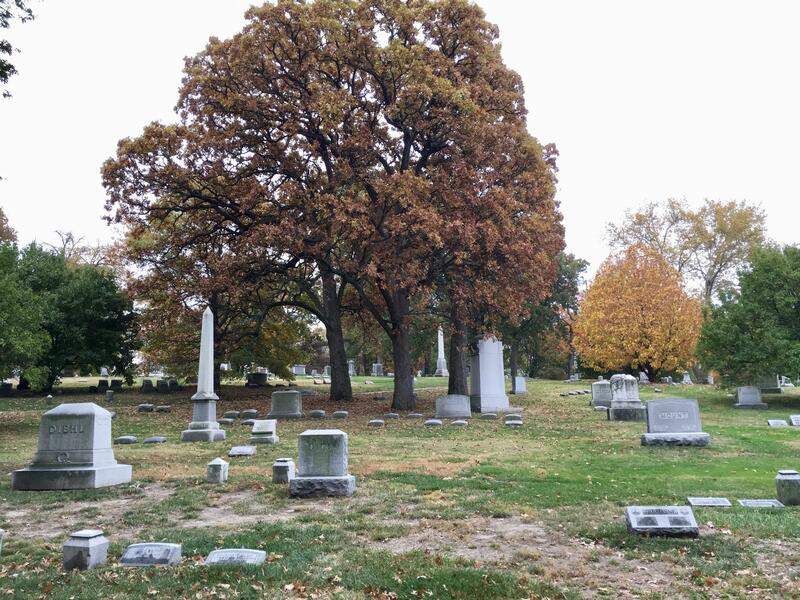 More than 150 years later, the cemetery has retained this aspect through landscaping and extensive tree plantings, and it’s looking to build on it with prairie reconstructions as well. Fuller leads the tour group across the cemetery to one of these planned reconstructions which will be set aside for green burials. Created as part of the Rural Cemetery movement, Bellefontaine's landscaping has a pronounced naturalistic influence. "We had such turnout for people asking about green burial and putting reservations, what you’ll see now is this now loops down, see where the brown grass is?" Fuller indicated an area at the bottom of the hill, facing the north riverfront of the Mississippi. He continued, "This will all meld together and this is where those green burials are going to be." For some members of the tour group, the idea held some appeal. Frank Dvorak is a retiree from the St. Louis Area who said, "Well I think there’s the- that you do return to the earth in a fairly short time frame, and you don’t have these extra embalming and things, though I guess I’m kind of sentimental about the headstones." Home to thousands of trees, Bellefontaine Cemetery is officially recognized as an arboretum as well. Dvorak says he was somewhat aware of the concept of green burials, but didn’t know all the details. "I made an assumption of what it was but learning things like if you have artificial joints that they have to be removed and things like that were useful and interesting to hear about," he said. Those joints and pacemakers are typically removed because they aren’t biodegradable. But after the tour, Fuller emphasized that apart from those details, there’s very little about green burials that is actually new. "It’s been in our DNA from the beginning," he explained. "Green burials are much like what our ancestors did originally; It was the civil war and definitely World War I and II which evolved to what we consider to be 'traditional burials' today." Where those “traditional burials,” can cost upwards of $5,000 or $6,000, green burials often come in under $2,000. 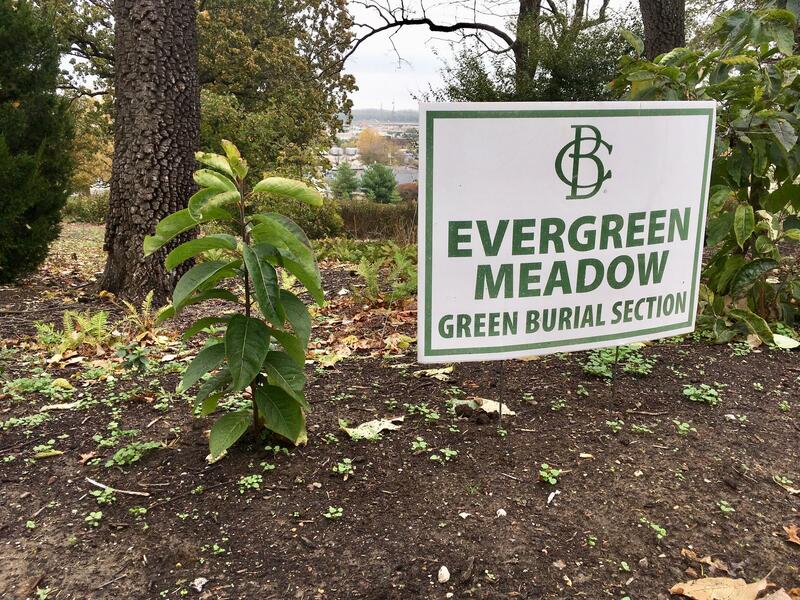 Fuller said Bellefontaine started getting requests for green burials in the last five years, and that he expected the movement to grow more in the future.